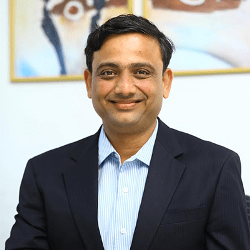 Because of a strong order pipeline, the future is looking bright for one Indian solar thermal turnkey supplier: Bhoovarahan Thirumalai, CEO of Aspiration Energy, expects to realise solar heat for industrial processes (SHIP) projects at a total capacity of 20 MW in the next one-and-a-half years – all of them as a solar heat supplier. This would be a significant increase compared to the 2.5 MW of solar thermal capacity that the company set up over the course of 20 installations in the last 7 years. One key success factor is the business model of Aspiration Energy. As an Energy Service Company, it owns and operates the SHIP plant and the industrial client pays based on what it saves. Solarthermalworld: So far, you have completed 5 projects as an Energy Service Company (ESCO). In the future, all your SHIP installations are said to be based on the ESCO model. What motivated you to offer heat supply contracts to industrial customers? Thirumalai: First of all, the enormous SHIP potential that lies dormant worldwide. Besides, most manufacturing companies do not have in-depth knowledge of solar heating and perceive such investments as risky due to low confidence. Hence, we created a business model based on an energy service company and it has become well accepted by now. We have been able to gain the trust of our customers. A successful reference was the installation at Wheels India at the end of 2012. A 1,365 m² vacuum collector field set up on the premises heats water to 75 °C before it is used to degrease the wheels prior to final painting. Since the wheel manufacturer is part of the TVS group, other subsidiaries are starting to express interest in the technology. Solarthermalworld: What are the main barriers when offering SHIP technology to industrial clients? Thirumalai: One problem is that industrial customers do not know their current cost of heat. There is no accurate assessment of the energy consumed for heating – as opposed to electricity amounts – due to a lack of monitoring devices. Besides, industrial customers want to spend capital on top-line, which means revenue-focused, rather than on bottom-line, meaning cost-saving, investments – especially in the field of environmental and societal protection. And last but not least, there is a preference for more popular sources of energy like photovoltaics and little awareness that sustainable heating solutions are available and economically viable. Solarthermalworld: How do you measure the exact amount of solar heat delivered to a company? Thirumalai: Measurement is done by timing the running hours of the solar pump or the pump in the heat circuit or the valve opening and closing in a particular production process. From this, we estimate total heat flow for various operations. Solarthermalworld: How do you deal with the risk that your client might change production capacities during the duration of the heat delivery contract? Thirumalai: We include deemed generation clauses in our ESCO contracts with clients. That means we guarantee the availability of equipment and heat delivery, but the customer has to guarantee the consumption of a minimum amount of energy. All our recent contracts also included a compensation payment that the client will have to pay if the company changes the temperature level in their heat supply system or production process during the contract period. Solarthermalworld: What happens if the client closes the factory before the end of the ESCO contract? Thirumalai: This is a rare possibility, as we are very careful in selecting our clients. Faced with such a situation, we would dismantle the equipment and there would be an early termination payment by the client.